Here some pictures of the very rare European child surprise package VIAJE AL FONDO DEL MAR (voyage to the bottom of the sea). 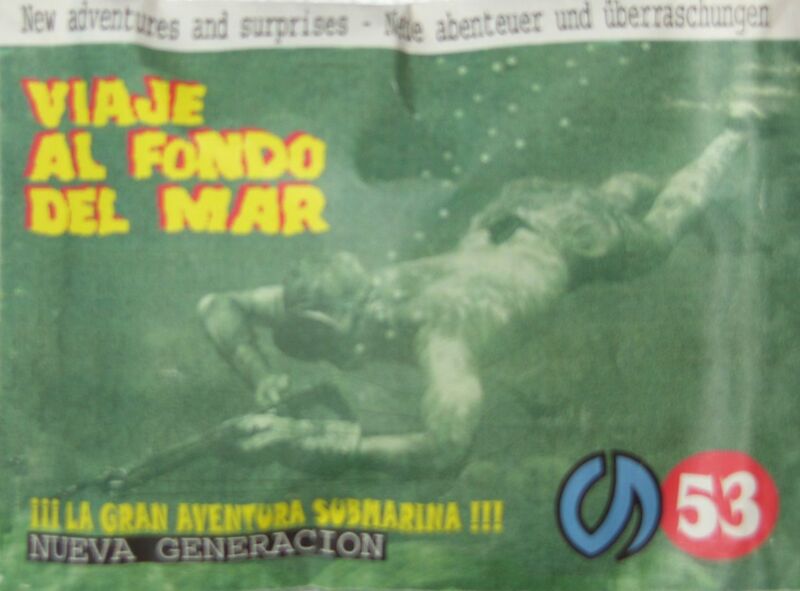 LA GRAN AVENTURA SUBMARINA (THE GREAT UNDERWATER ADVENTURE, NEW GENERATION. THIS CHEAP PLASTIC TOY IS MADE BY CS INDUSTRIES IN SPAIN IN 1974 AND SOLD IN SPAIN, FRANCE, GERMANY, AND ENGLAND? THERE WAS A SERIES OF DIFFERENT SETS MADE. THIS IS PACKAGE #53 (MORE SURPRISES KIT TOY MADE UNKNOWN) IN REVERSE ONE PICTURE OF OLD DIVER AND THE SAME TITLE VIAJE AL FONDO DEL MAR. THE PAKAGE IS IS 6.50 INCHES LONG FOR 3,50 AND CONTAINS TWO DIVERS AND SEAVIEW NO WINDOWS IN RED COLOR. 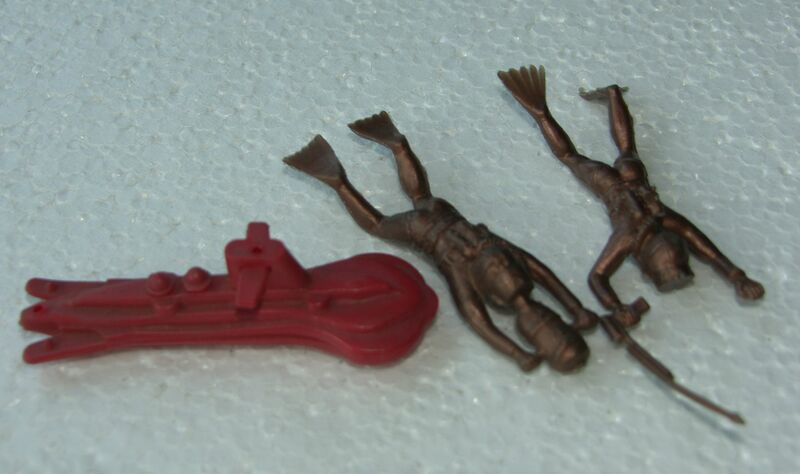 VERY RARE TOY ON VOYAGE TO THE BOTTOM OF THE SEA.